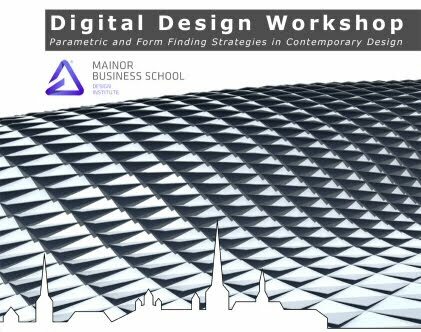 The workshop Digital Design - Parametric and Form Finding Strategies in Contemporary Design is offered to professionals and students, in every design field, who want to learn the latest digital technologies for design. The workshop will focus on four main areas: Solid/FreeForm Modeling, Parametric Design, Generative Design, and Digital Fabrication. Solid/FreeForm modeling will present the Rhino environment and tools. Parametric and Generative Design will investigate the power of Associative Modeling using Grasshopper. Digital Fabrication will introduce the process to export data from Grasshopper and surface outline from Rhino for production.